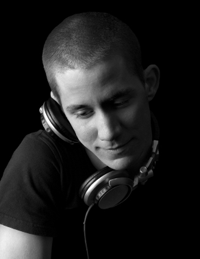 All or our DJ's are higly skilled professionals and take great pride in their work and making your party a success. There is much more involved to being a DJ than just hitting play on a CD player. We will never send you someone who does it in their bedroom as a part time hobby. Before working for us - all of our DJ's have had years of commercial experience with some of the largest leisure companies in the UK and abroad. This knowledge allows our DJ's to be able to read a dance floor and re-act to a crowd in order to provide the most enjoyable party. The ability to schedule the playlist as the party grows and integrate requests, rotating a dance floor to ensure that everyone feels as if the party has been designed to please them. This sort of skill and ability only comes with years of experience and it is not something that can be learned in a DJ School. Whether you want our DJ's to come dressed in a Black Tie and Dinner Jacket or more causal atire they will dress however you require to be most appropriate to your party. The same applies to the style of DJ that you require. We have DJ's who will provide you with a Nightclub style party with minimal vocal input all the way through to our Personality DJ's who will whip your party-goers up into a frenzy and keep them going all night long with the classic party tunes. 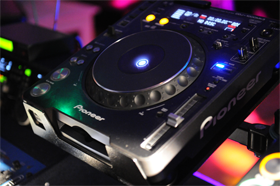 Whatever you decide, you can rest assured that each and everyone of our DJ's will provide a 100% professional service and be able to adapt to any changes that you require for your party. Our teams will turn up with an engineer if required but apart from that will not have trainees or friends with them. Every member of our staff will turn up to set-up the equipment in black crew wear. This will allow them to set-up safely and also maintain a professional appearance. Once all testing has been completed the team will then change into performance clothing until your guests leave and they change to de-rig the equipment. We will also liase with your venue regarding set-up and de-rig times. We will also establish what equipment is permitted before the event so we can provide you with the best show possible. Please get in touch and Contact Us for more details about our speciality DJ's or any aspect of our disco service.